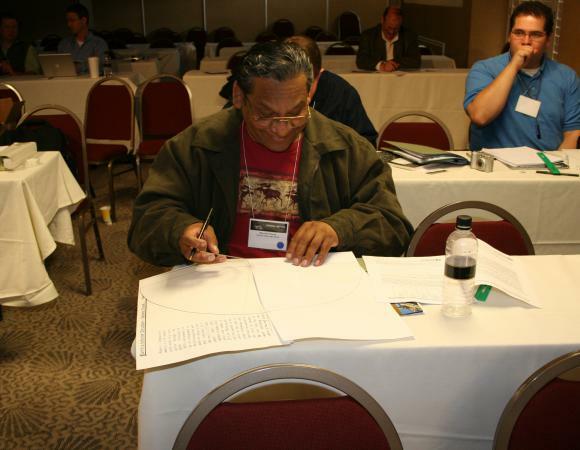 Teachers from around the country participated in a four-hour workshop given at the EarthScope National Meeting. 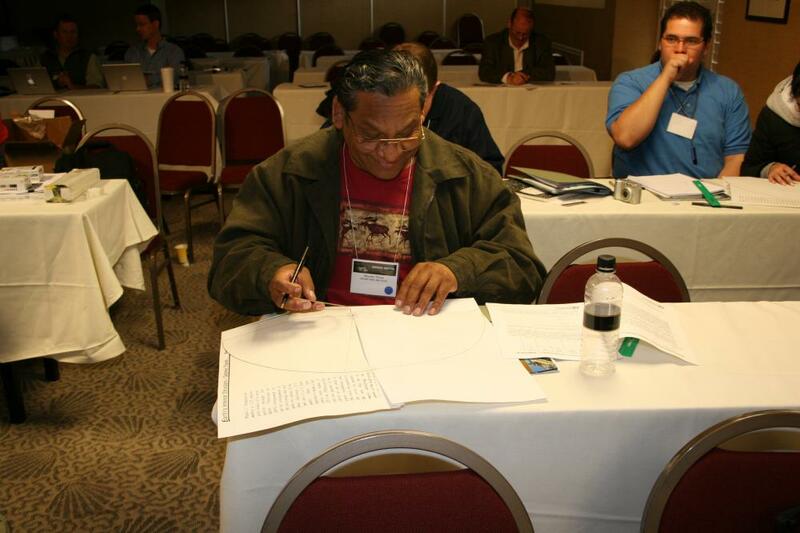 Teachers learned about EarthScope, explored the Earth Structure through a hands on activity (shown: Ricardo Flores from Antelope Valley High School), discussed fault creep by using the earthquake machine, and investigated episodic tremor and slip in the Pacific Northwest. There was also a hands-on activity using GPS data from the Plate Boundary Observatory. Over 90 EarthScope meeting participants, including 15 teachers, went on a field trip to locations along the San Andreas Fault and Calaveras Fault to learn about fault creep and earthquakes. 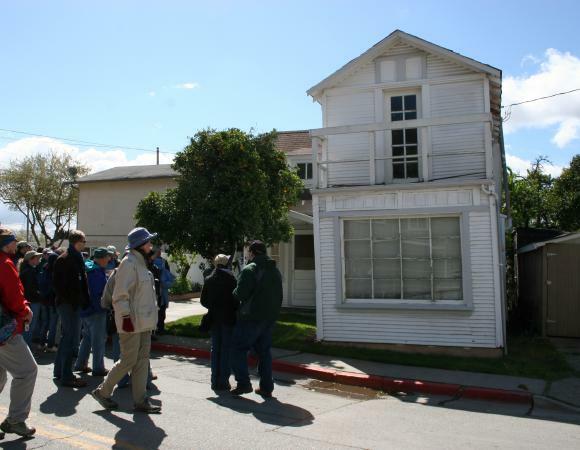 In Hollister, California, participants observed the effect of creep on man-made structures including roads, curbs, and houses. 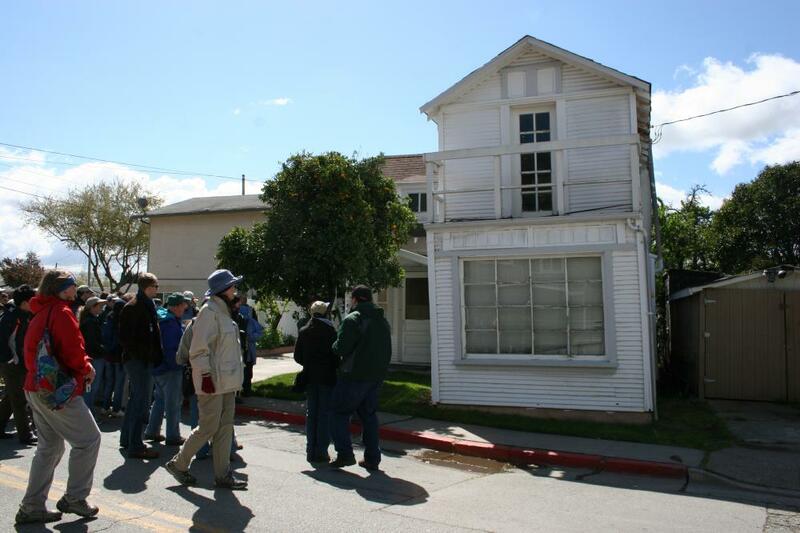 The house shown is situated on the Calaveras Fault is seen to be deformed from years of fault creep.